Pieno fiore (full grain): This is considered the finest quality leather, made from the outermost layer of hide and prized for being both soft and durable, retaining a pleasant leather scent, and developing a deep color and natural sheen over time. Cuoio di grano (top-grain): This middle category of leather is also made from the top layer of hide with the natural imperfections and pores sanded out to create a more even finish. Most bags and wallets are made of this quality of leather, and the difference between pieno fiore and parte grano or cuoio di grano is subtle and not always clearly marked. Vera pelle (genuine): This is the lowest quality of leather, made from the inner layer of hide left over after the two higher grades of leather layers have been stripped away. Most inexpensive leather items are made from vera pelle or vero cuoio, often consisting of layers of low quality leather glued together and dyed to resemble more prized leather. Avoid cuoio rigenerato, or bonded leather made from the left-overs pressed and glued together, and simipelle or ecopelle imitation leathers. Touch: Quality leather has a soft, buttery feel, smooth to the touch and not stiff or papery. Smell: Leather should have a pleasant, earthy aroma that smells rich and natural. Any leather that smells of glue or chemicals is not of very high quality and will not stand up to the test of time. Look: First, check the color. Highest quality natural leather has a deep golden brown color and natural grain that gives it texture and depth. Dyed leathers add variety with fashionable colors, but be sure that they are not being used to mask lower-quality leather. Examine any unfinished edges to see if the dye has been absorbed through all the layers of the hide, or just painted on the surface. Second, check the stitching and finishing. Stitches should be small and regular, and any finishing touches like zippers, buckles, or studs of the highest quality. Talk: Italy's skilled artisans and high-end shops are proud of their unbeatable leather, and will go to great lengths to demonstrate the supple texture and meticulous handiwork of each piece. A trustworthy seller will be the first to urge you to check the quality by touching, smelling, and looking until you are satisfied with your purchase. Travelers to Italy can find quality leather goods from the Alpine towns in the northern Dolomites to the islands off southern Italy's coast, but there are three main leather-producing sectors, each offering a different experience and level of expertise. Artisans: There are a surprising number of independent leather workshops still open for business across Italy. Florence, of course, has the highest concentration of these specialized ateliers, but you can find them along the narrow pedestrian lanes in towns on the Amalfi Coast, on the hilltops in Umbria and Tuscany, and even in the quiet calle of Venice. These master craftspeople make stunning, one-of-a-kind shoes, bags, gloves, and other accessories and you can often watch as they cut, sew, and hand-finish their pieces. If you are looking for a custom bag or a pair of shoes made to order, try an artisan workshop. Luxury boutiques: Italy's luxury brands also produce fine-quality leather goods, though their value lies in the prestigious name in addition to the quality of the leather and the craftsmanship. Much of the production—from preparing the leather to the cutting and stitching of clothing and accessories—is sub-contracted to small or medium companies in the industrial leather sector (see below), though skilled artisans often take care of the meticulous final touches in house for the brand. Stop in a designer boutique if you love the chic look of Italian design, but also value quality that can last a lifetime. 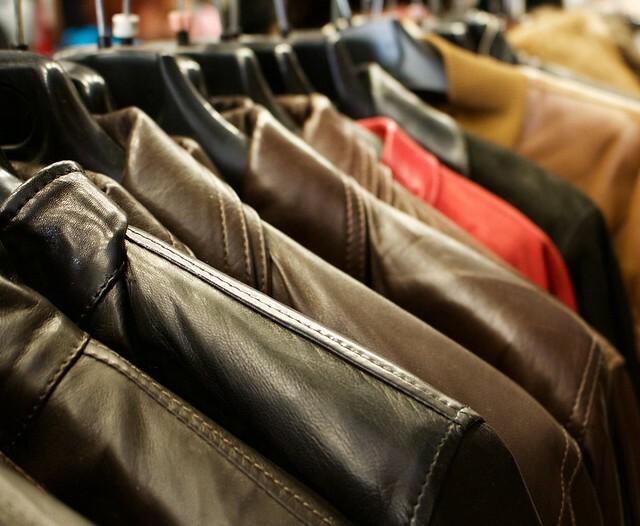 Industrial production: Most Italian leather jackets, bags, shoes, and other accessories sold in shops in Italy and around the world are made by small and medium-sized companies specialized in combining traditional Italian quality and style with modern, large-scale production. Many of these leather companies are located in central Italy—primarily Tuscany and Emilia-Romagna—and clothing and shoe shops that are neither artisan workshops nor high-end boutiques generally sell items made by this thriving industrial sector. This is where you can get trendy, fashionable pieces that are of acceptable quality but won't break the bank. 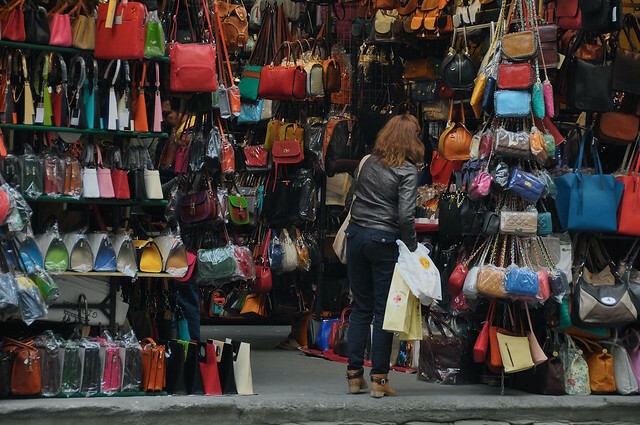 A note about street markets: though it is fun to stroll through street markets—especially the famous San Lorenzo market in Florence—the quality of the leather goods sold there is often dubious. Take a walk through to get an idea of styles and prices, then head to an artisan workshop or specialty store to purchase from a reputable source. Time: Sure, you may see something you love and buy it on a whim, but usually it takes a little more time to make sure you are getting the highest quality at the best price. Often, you can find excellent quality artisan pieces that are less expensive and more carefully made than their designer look-alikes. Or the same leather shop may carry both artisan and industrial goods, of very different craftsmanship or quality. Or the same piece may be sold by a high-end boutique and a modest leather shop at different prices. Spend a bit of time to do some window shopping and reconnaissance before making a purchase, and you're less likely to have buyer's regret. Money: Italian leather is not cheap, especially quality Italian leather. 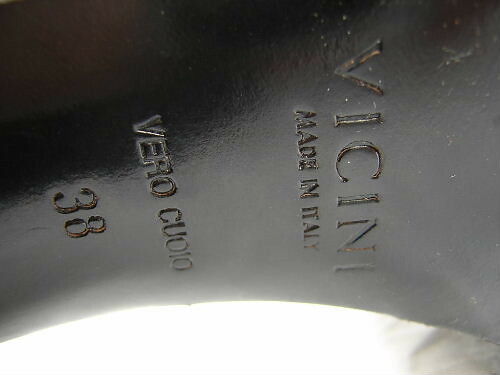 That said, the finest Italian leather shoes, bags, or jackets can last for years, so make for an excellent investment. Be prepared to spend a bit, but remember that buying directly from an artisan or small, specialized shop is where you will get the most bang for your buck. Luxury brands add a hefty fee for that prestigious name on your bag or jacket, and larger, retail shops generally carry industrially produced goods of lesser quality. There is no greater pleasure than enjoying an eye-catching, one-of-a-kind bag or jacket for decades...a beautiful and practical memento from your trip to Italy, so keep these guidelines in mind and treat yourself to a bit of iconic Italian style!